Huntington’s pit musicians have a set a very high bar over the years and this year’s show orchestra worked for months mastering very challenging scores and surpassed even the high expectations that are now the norm. The musicians began learning the music for the show months in advance. Rehearsals stretched for many week, culminating in a series of very late nights in the final days before the curtain went up for the first time. 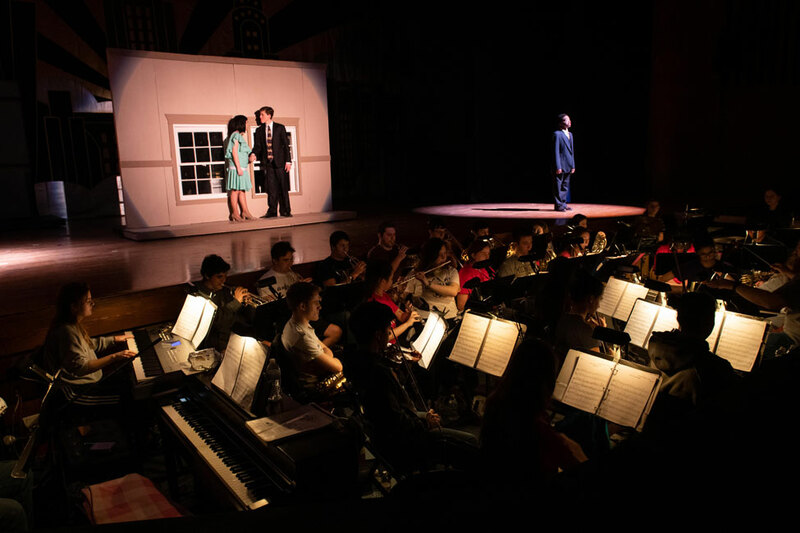 Orchestra members were dressed in black and the attire combined with the glow of small lamps that allowed the musicians to read the music produced an enchanting effect and added to the overall atmosphere in the high school auditorium. Huntington music teacher Brian Stellato was the show’s musical director. Hosun Moon was the vocal coach. Music teacher Victoria Garbarino performed with the pit orchestra on piano and also handled the show’s choreography. “The pit worked so incredibly hard this year on a very different style of music than we had done in the past,” Ms. Malone said. 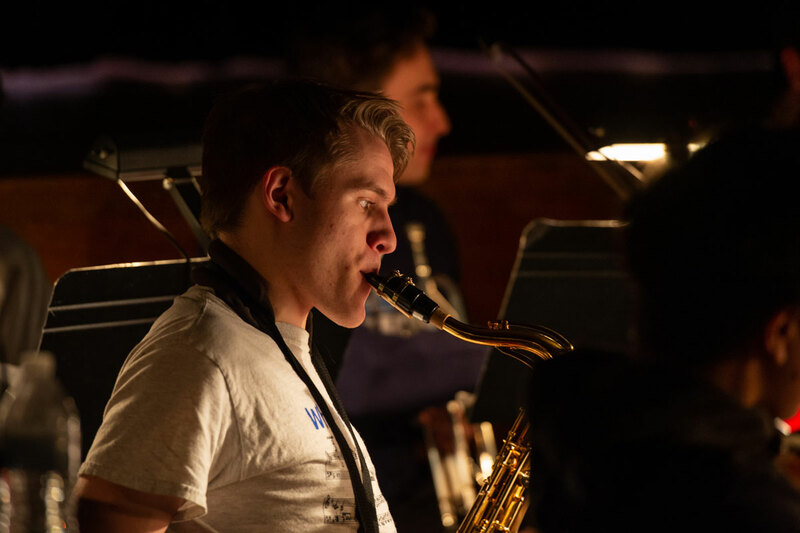 The musicians exuded professionalism throughout the production and audiences responded enthusiastically to the remarkable sounds emanating from the orchestra pit. Feelings of pride and satisfaction permeated through the entire orchestra. 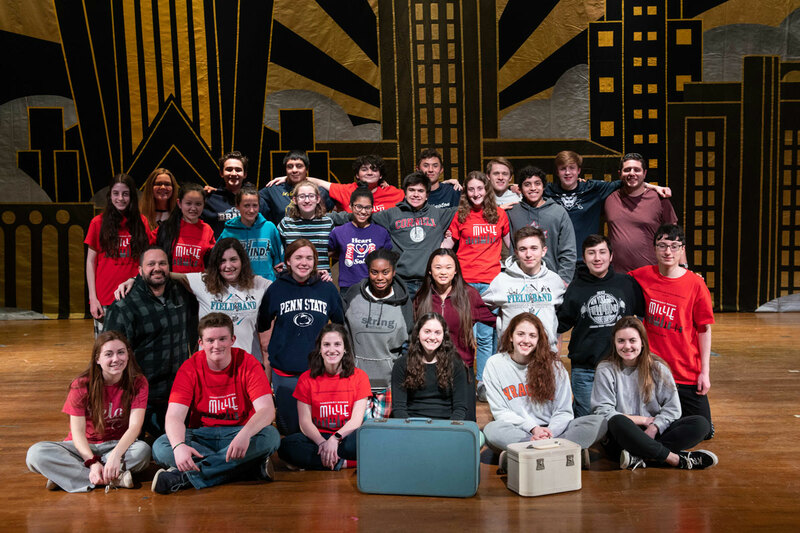 “The performances were full of energy and the pit was on fire during all of the showings,” Mr. Reed said. The months spent learning the show’s challenging music and then rehearsing as an orchestra paid off handsomely.